Lawn Mowing – We always offer our best in quality and service and take a lot of pride in the lawns we mow. Every step is taken to make your lawn look its best. After all, the appearance of your lawn is a reflection of our service and of us. Sidewalk, Curb and Driveway Edging – This service gives your lawn a clean, manicured look and defines the concrete borders of your lawn. Turf overgrowth (both grass and soil) onto concrete can take away from the look of your lawn. The overall appearance of your lawn is diminished by turf overgrowth. This overgrown turf is removed by edging and gives your lawn a crisp, clean appearance. There is less overgrowth the more often you edge. Our services leave your lawn looking great within its concrete borders. There will be less overgrowth the more often you properly have your lawn edged. Thus, it's very important for your lawn to be edged consistently and cleanly. Your edges will end up looking nice and clean all-year long. Dethatching – In order to let sunlight, moisture, and fertilizers reach the soil better, dethatching services are provided for your lawn. Dethatching is absolutely critical for the health of your lawn. Dethatching is a way of getting rid of the buildup of thatch from the base of your lawn. This type of buildup is made up of dead grass stems and roots along with by other debris trapped above the soil. This makes a barrier that slows down the absorption rate of necessary nutrients. What's worse, insects and disease can also fester within your grass. Even though the buildup of thatch is normal for lawns, too much build up can turn into a problem. Fortunately, it is a simple problem to fix. Our dethatching services will protect your lawns. There is a simple way to check if your lawn needs to be dethatched. Just use a few fingers to pry between the blades of grass in your lawn and look at how much dead grass is there before you reach the soil. If there is more than half an inch of thatch, then your thatch layer could be negatively impacting the quality of your lawn. Overseeding – In order to thicken the turf, new grass seed is put into the lawn. Our overseeding services are top-notch and are a perfect solution for many different types of lawns. The process of overseeding consists of putting out grass seed over the lawn using a spreader. After that, the seeds are watered into the soil. If there are certain areas with very thin grass, additional top soil might be needed to help the lawn look its best. Any new grass seed requires proper care, timing, and expertise in order to grow it into a beautiful lawn. New seed is best planted in the late spring or early fall. Temperatures around this time tend to be more moderate, which is essential for new growth. Using a fertilizer high in phosphorous will help with early root development. Each lawn is unique and has different characteristics that dictate the best conditions to grow new seed. We specialize in lawn mowing, edging, fertilizing, and a whole host of other applications for your lawn. Our courteous crews provide your lawn with the best treatment possible. We leave your lawns looking professionally manicured. With our top-grade equipment and expertise, you can be sure that we deliver the best service at a lower cost than what you might be able to do yourself. We provide unsurpassed quality and service. Grass provides a luscious place for your feet to walk, a nice place to sit while enjoying the warm sunshine, and leaves your home feeling fresh and cool. Well-maintained lawns give your home a look that you can be proud of. Keep your outdoor space looking beautiful. Let us create a custom recommendation for you today! Why have your lawn professionally taken care of? At GPAK Tacoma Lawn Service, we provide services that will make your grass grow more beautifully and better than anything your neighbor can do by himself. Your lawn will look amazing year-round while your neighbor struggles with hours of effort in order to maintain an average lawn. When you see the difference a professional makes, you will want to have us maintain your lawn so that its beauty lasts for the entire year. Our lawn care will ensure that your lawn stays beautiful and healthy. Pick up the phone and call us for a consultation today! GPAK Tacoma Lawn Service provides high quality service that always puts the customer first. We get the job right and we get things done to your satisfaction. 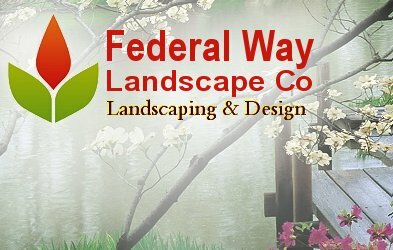 Our business is in beautifying your lawns. We stand for high quality work and we work hard to earn your trust.